It’s really difficult to find a good quality inflating device, as I know from having a child who loves inflatable toys. They require constant re-filling and the pump we already have in our house needs to be charged before use. So I was excited to have the chance to try the Flextail Max Pump. The Max Pump is an innovative device that is designed to be small and powerful. The idea is that your outdoor hobbies will often require airbeds or children’s armbands etc. to be inflated and the smaller and lighter the pump, the more room there is in your backpack or suitcase for other things. Most pumps on the market will not give enough power or need constant re-charging. 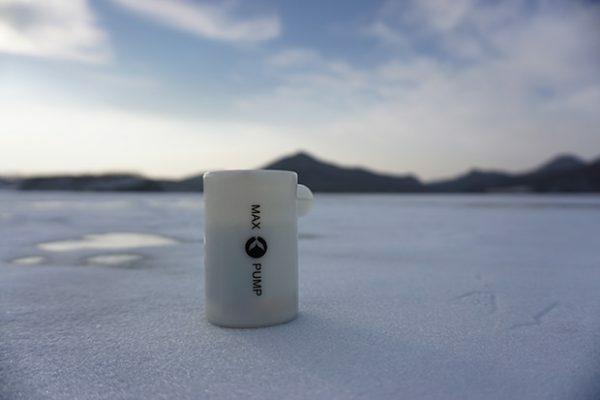 It’s small enough to fit into your pocket and has a streamlined waterproof design. It’s also cheap with a RRP of $18.99. My first impression of the Flextail Max Pump was that it was small. In fact, I was dubious because how could something so small be powerful enough to inflate or deflate something as large as an airbed? Not only was it powerful enough to inflate that giant dinosaur several times, it also inflated an airbed afterwards. The design is certainly simple. 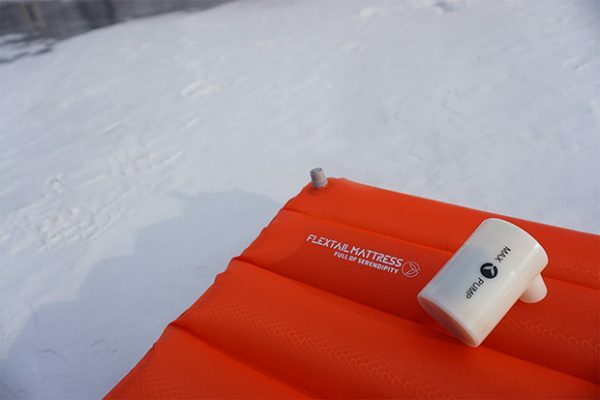 The Flextail Max Pump comes in white or orange and has the company logo on the side. It weighs in at 49 grams, is 81mm tall and lasts for 90 minutes on one charge. It takes around 5 hours to charge which isn’t long at all considering that there are some which have to be charged for around 12 hours to get a decent amount of power. It can be charged using a home power socket, your computer or a portable charger. The Flextail Max Pump was a hit with my family. We loved it because it performs really well and takes less time to charge than we had expected. I’m also impressed with the price because something with this much power should probably cost a lot more and it makes you wonder why less powerful and more bulky pumps are being priced so much higher. You can read more about the Flextail Max Pump by visiting the Flextail website.